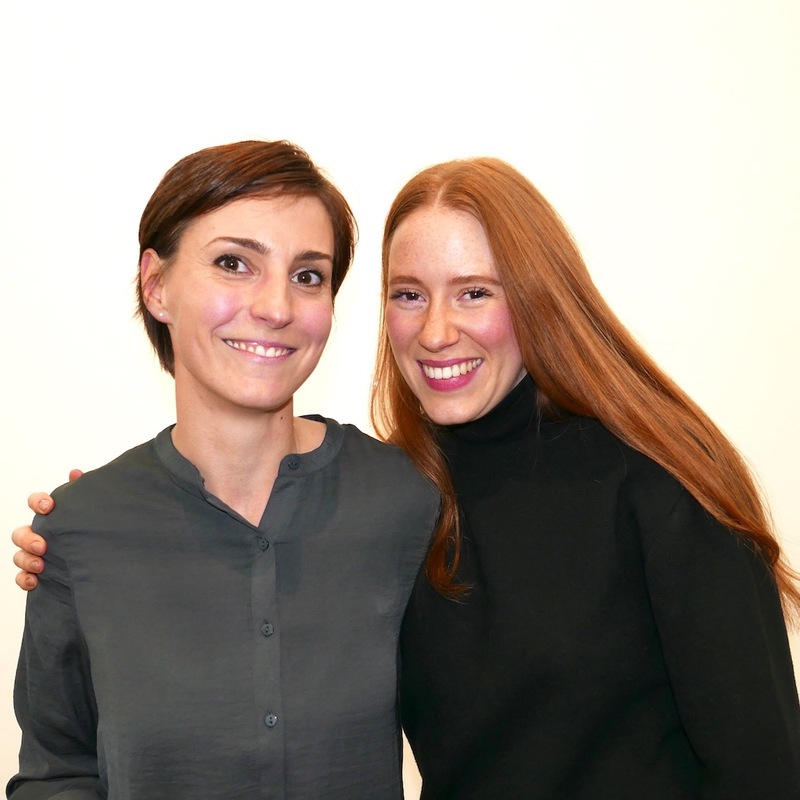 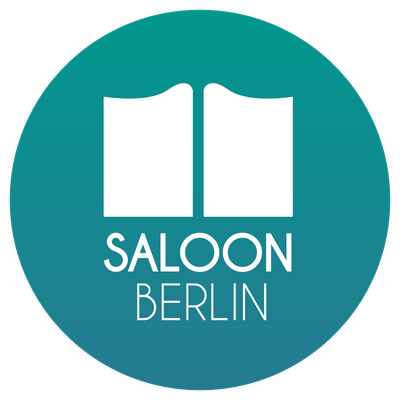 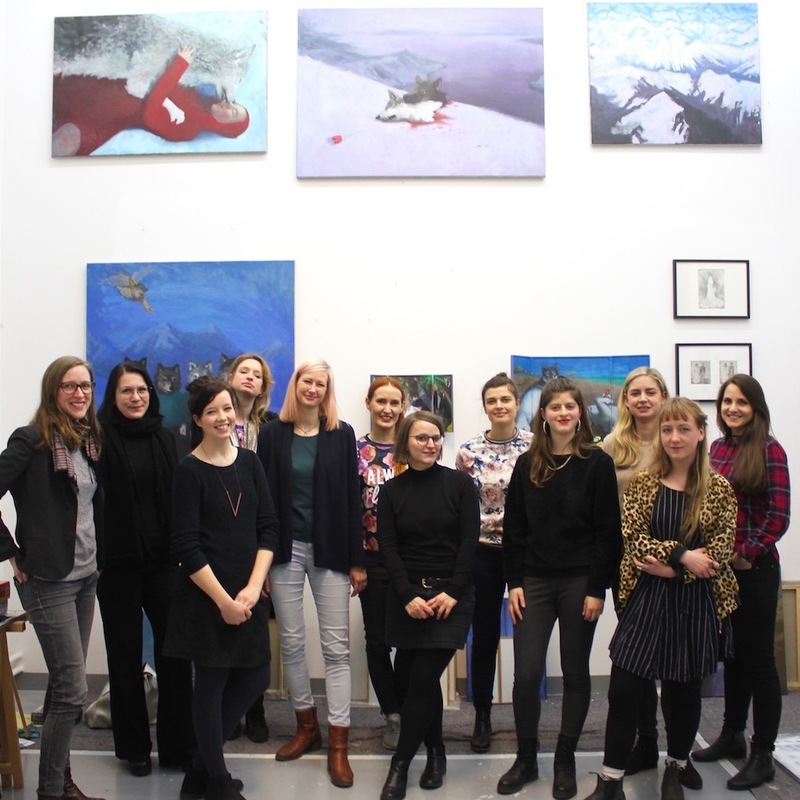 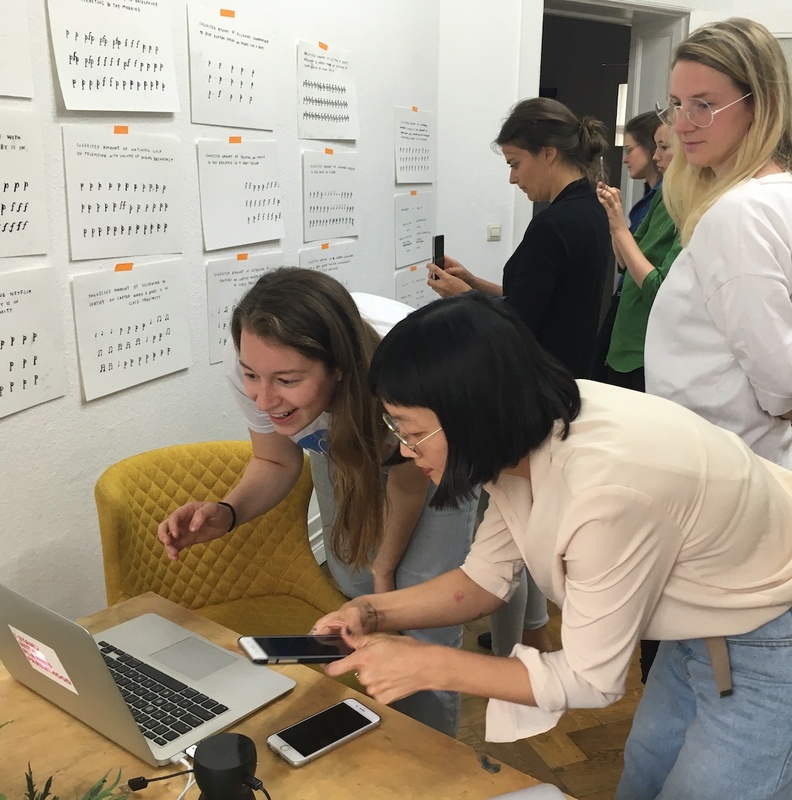 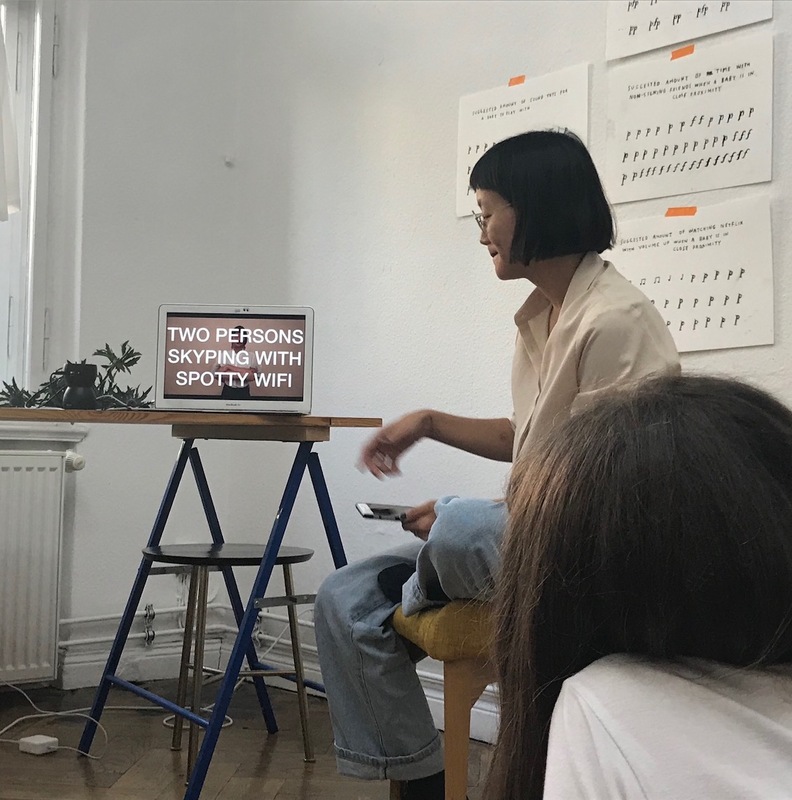 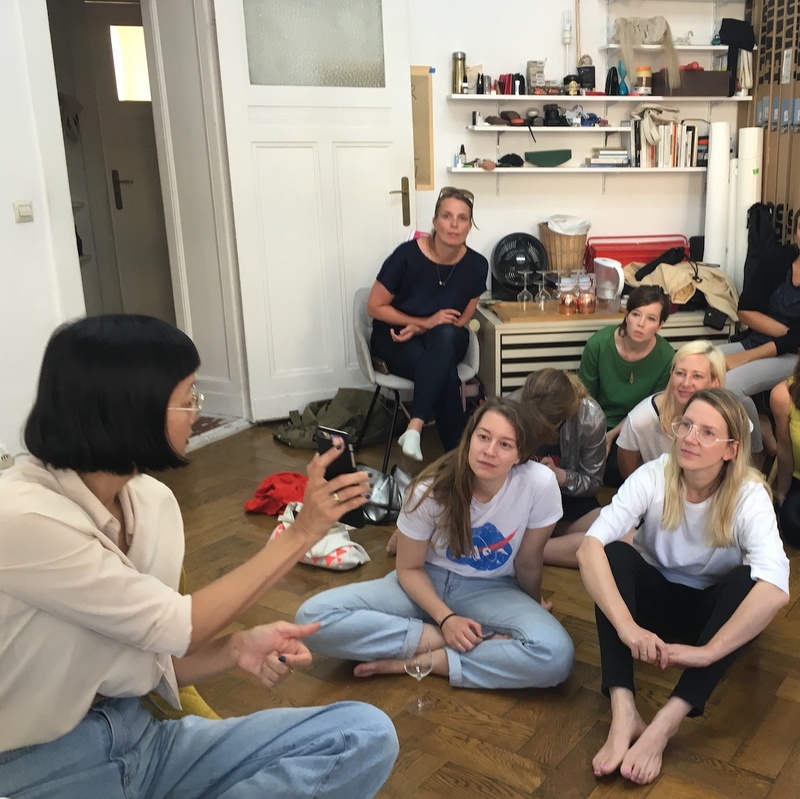 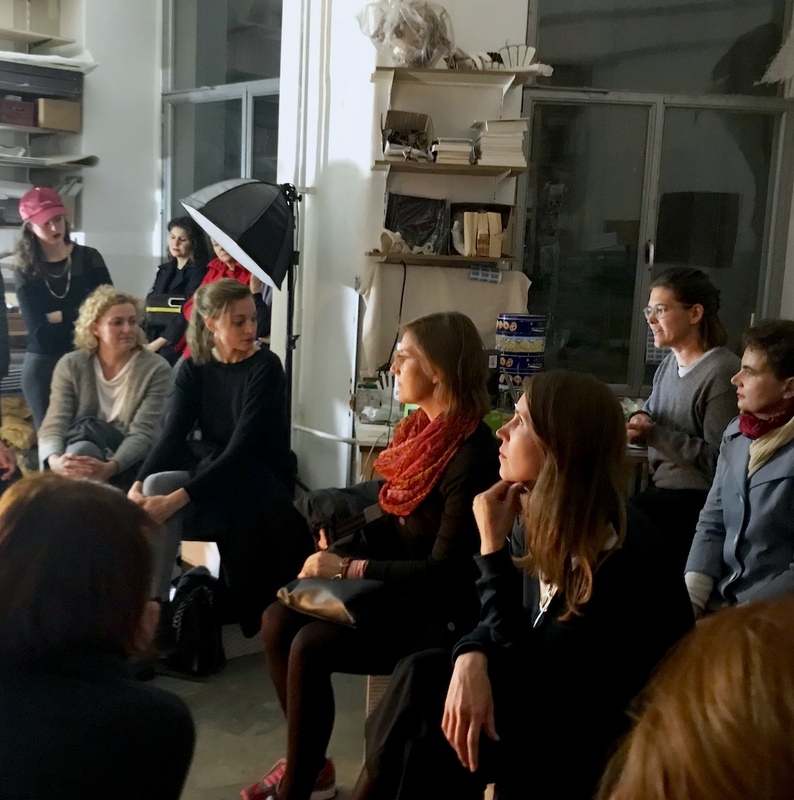 Open dialogue with the SALOON members Viola Eickmeier (Studio Violet) and Eva Meyer-Hermann (KuratorFürKünstler) about their still little-known fields of work. 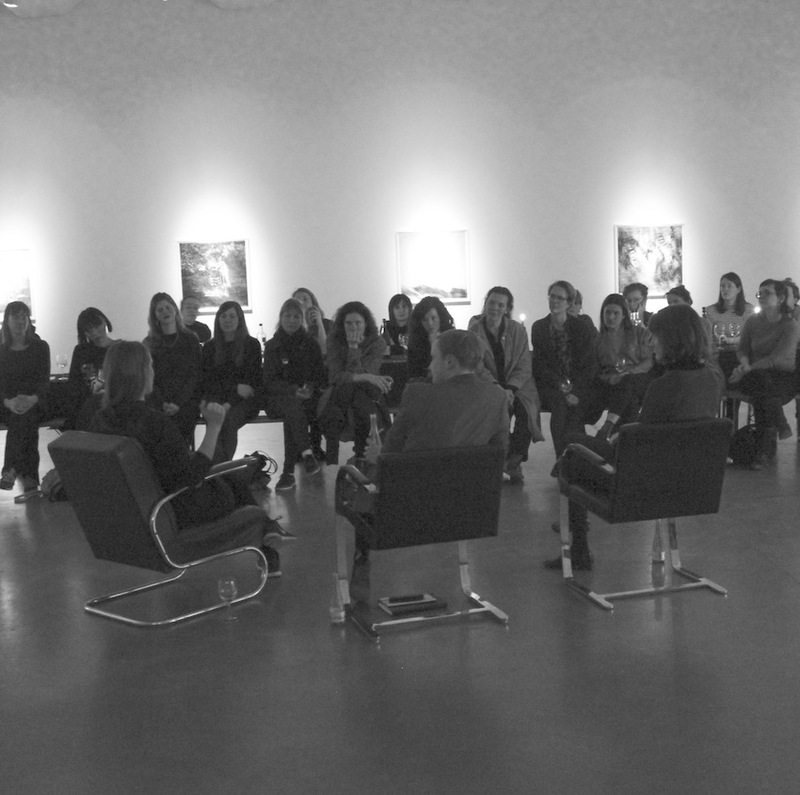 Afterwards dinner together at Persepolis. 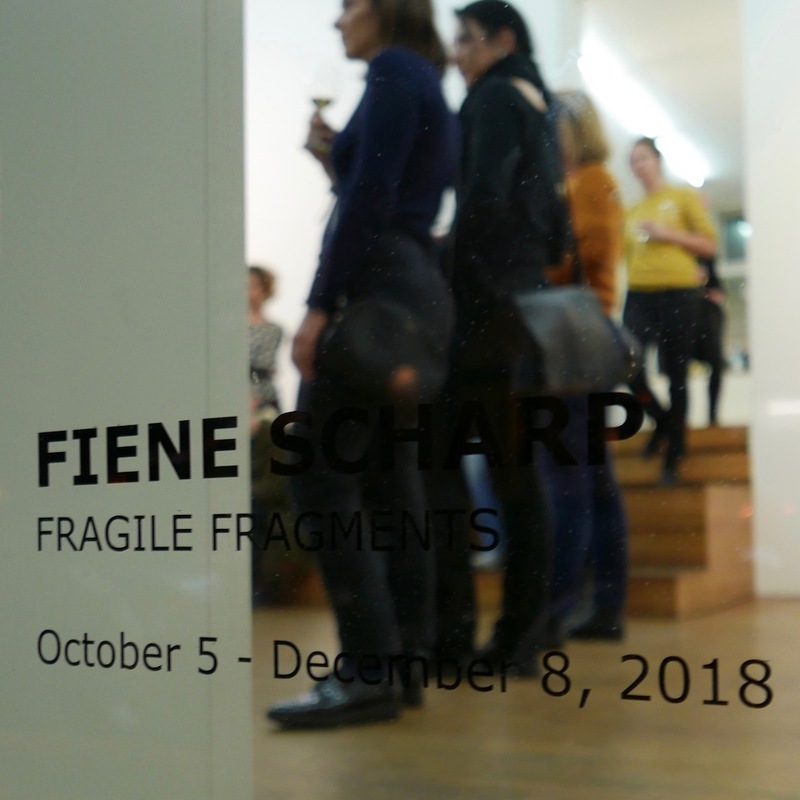 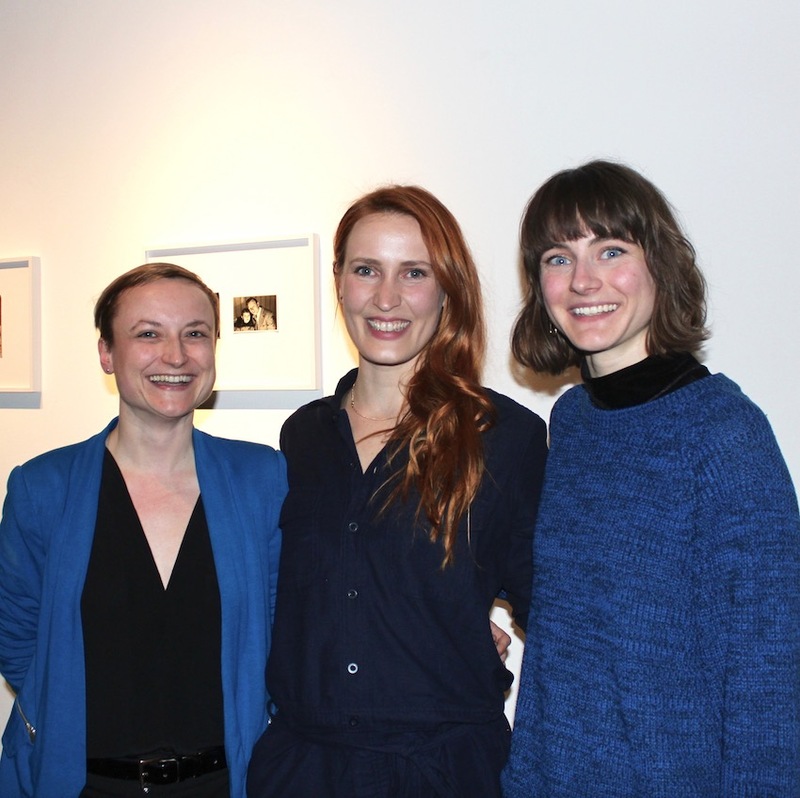 Larissa Fischer, Kuckei + Kuckei, and Fiene Scharp, artist, both SALOON members, introduce Fiene's solo exhibition Fragile Fragments as well as the gallery Kuckei + Kuckei. 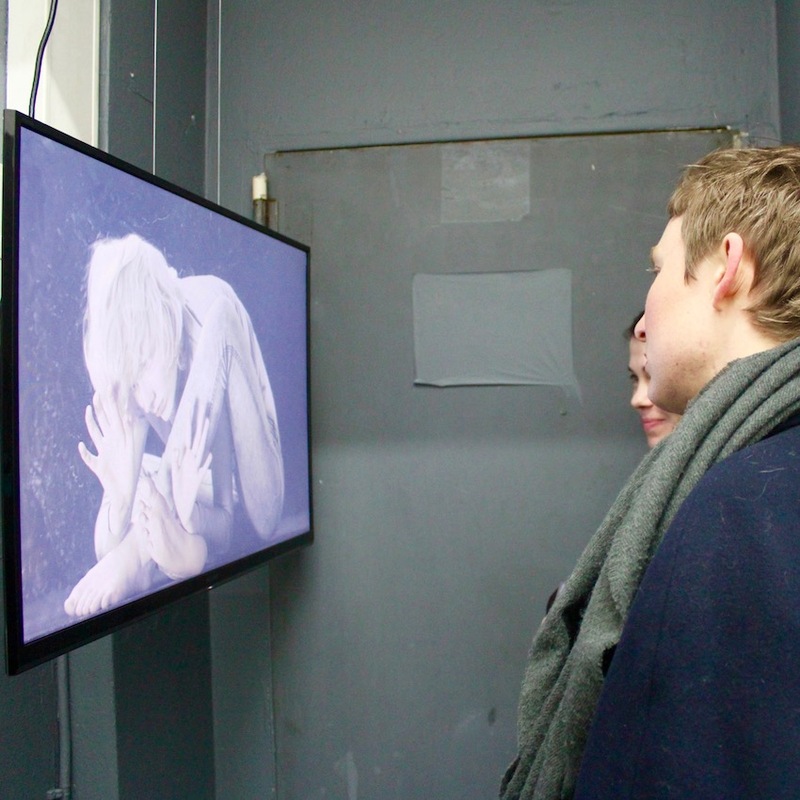 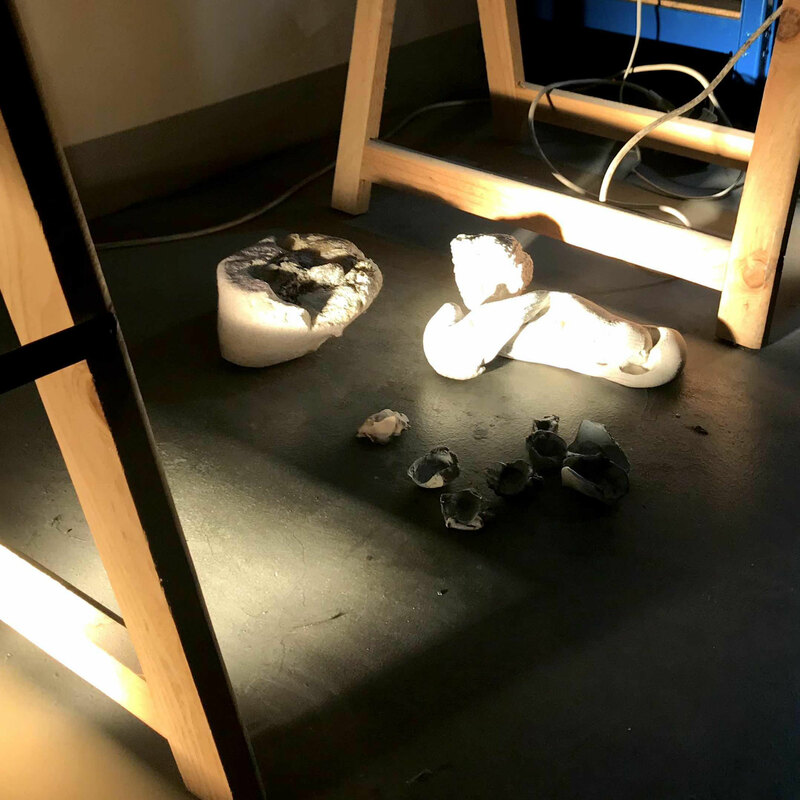 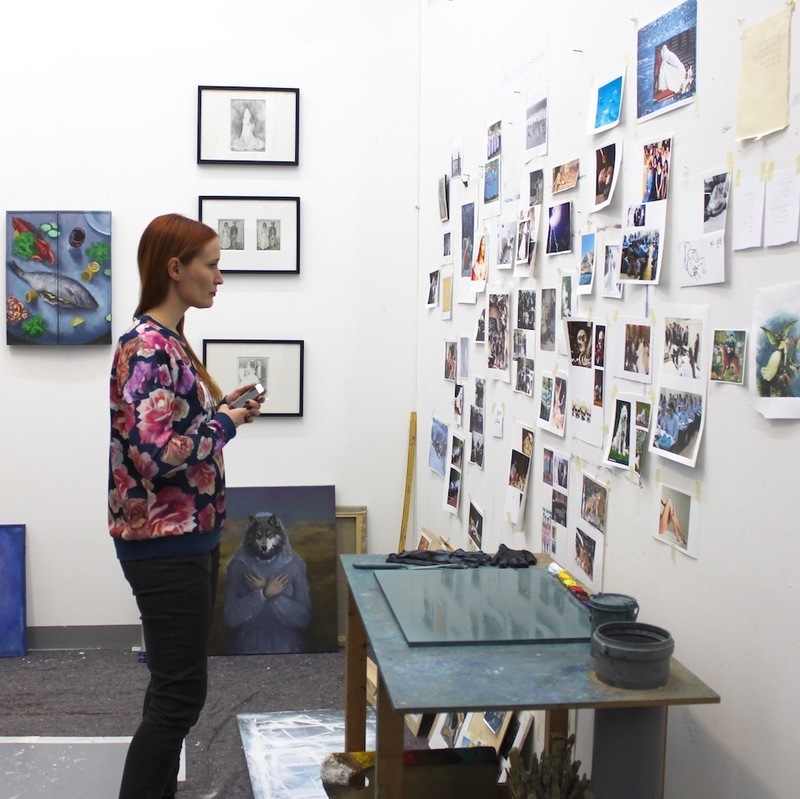 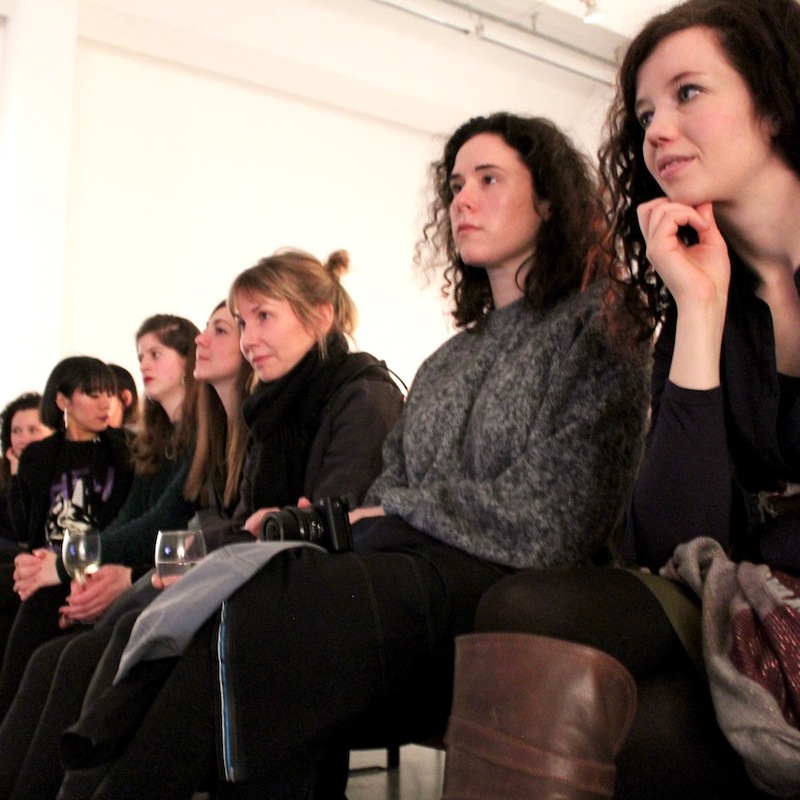 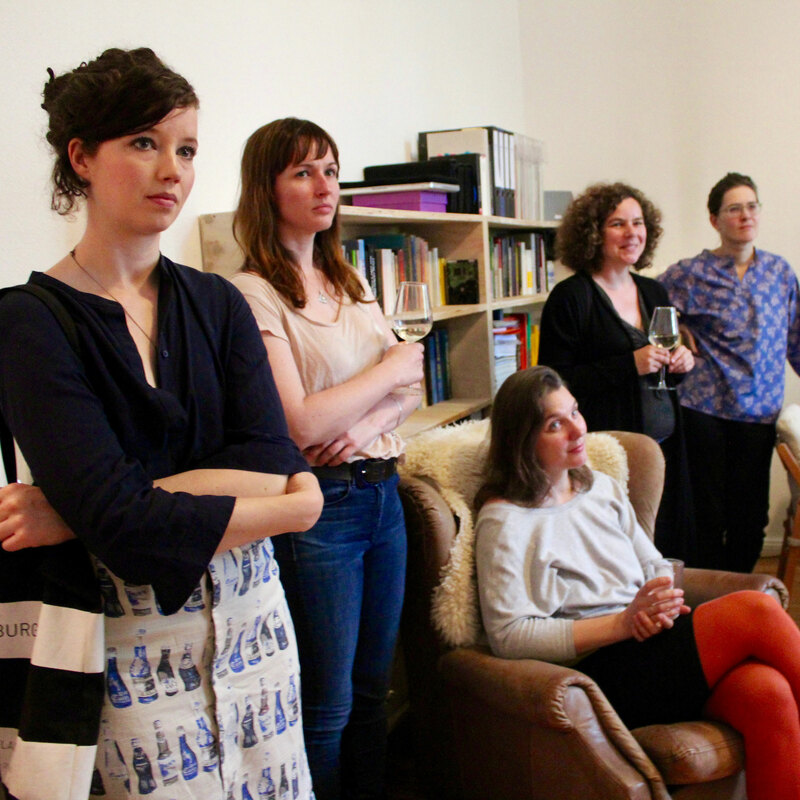 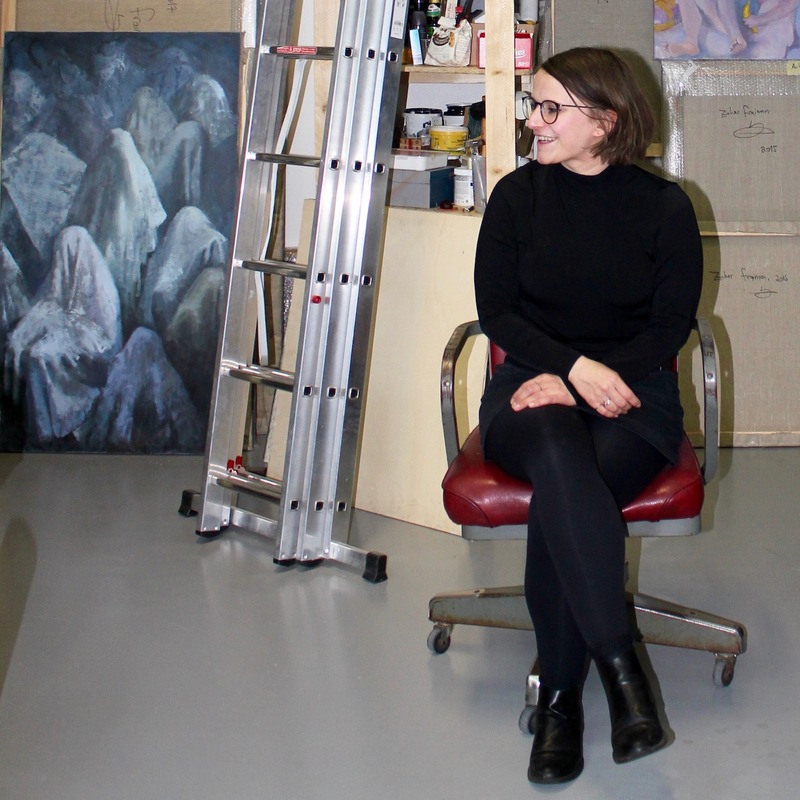 SALOON member and artist Sophie Aigner introduces her artistic practice. 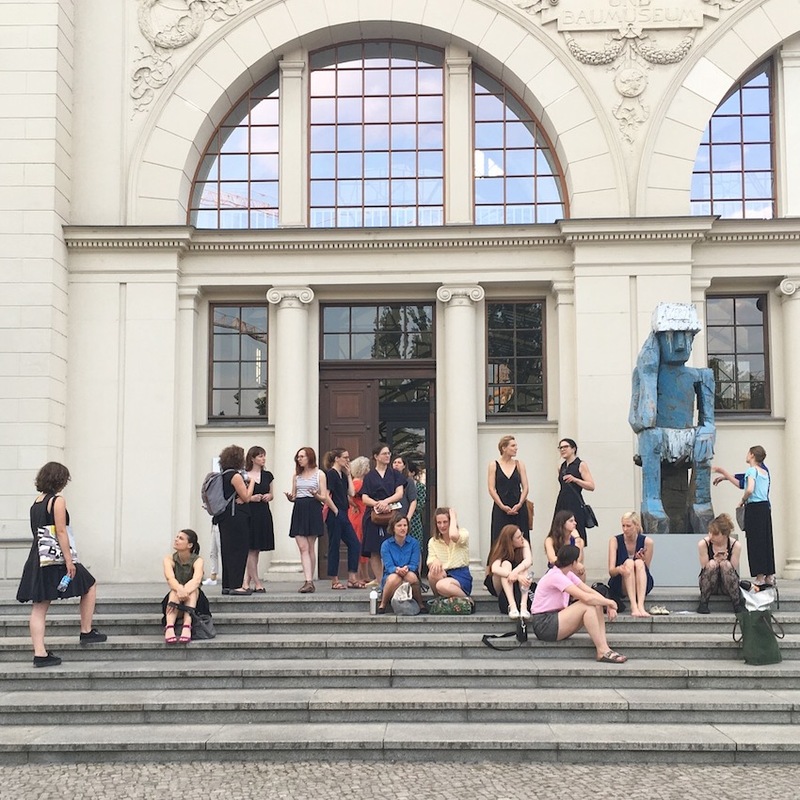 Afterwards dinner together at restaurant Kindl Stubn. 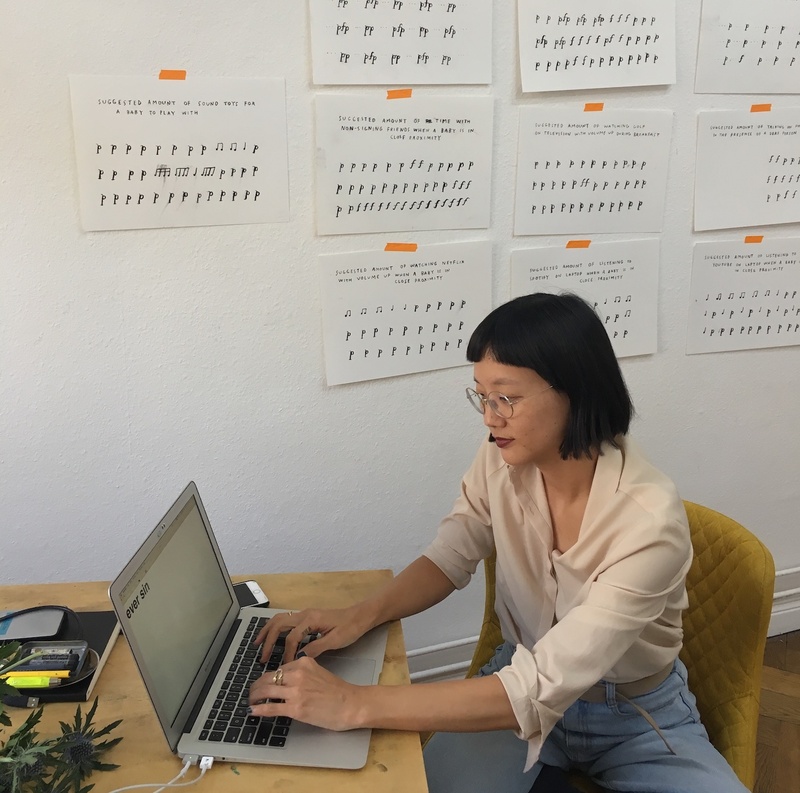 SALOON member and artist Christine Sun Kim introduces her artistic practice. 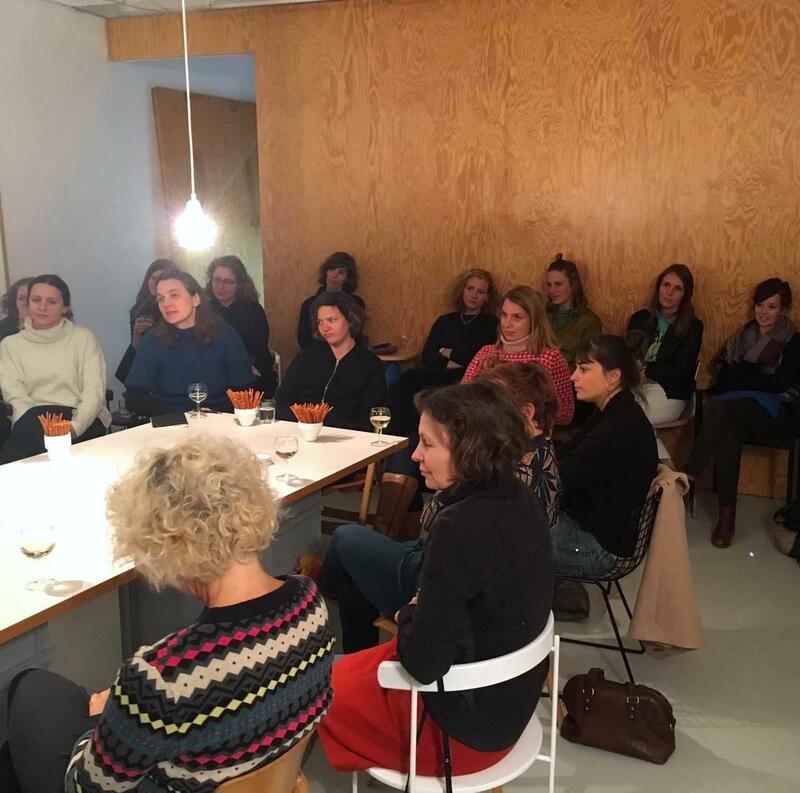 Afterwards dinner together at restaurant El Pepe. 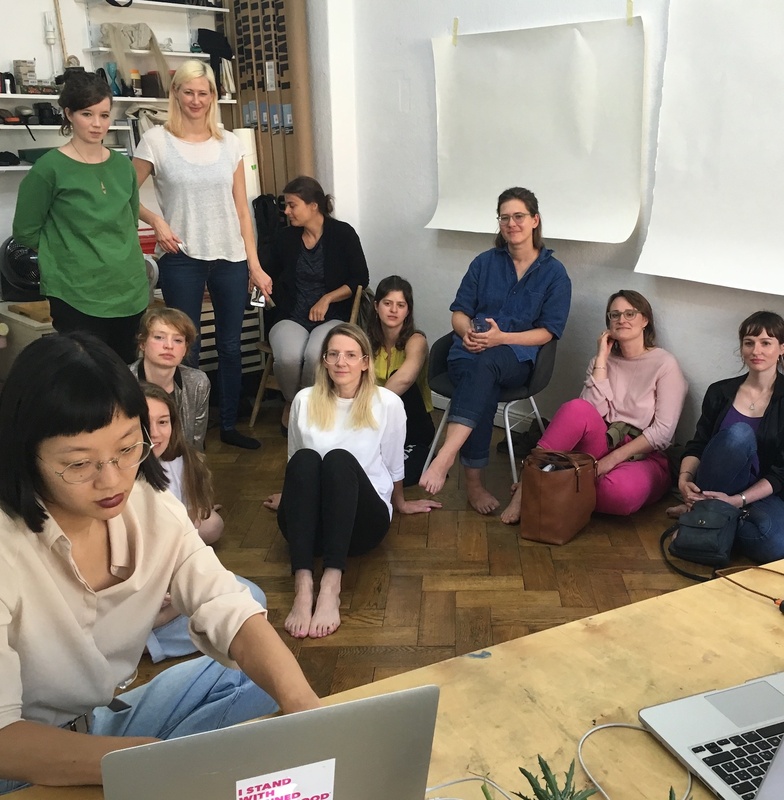 SALOON member Lena Fließbach introduces the exhibition Hello World. 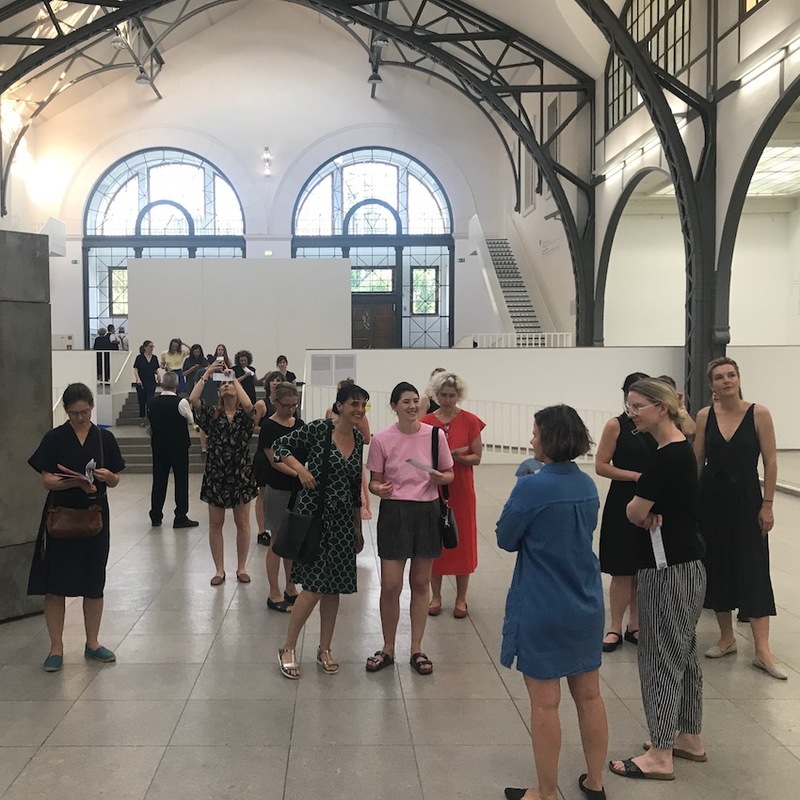 Revising a Collection at Hamburger Bahnhof. 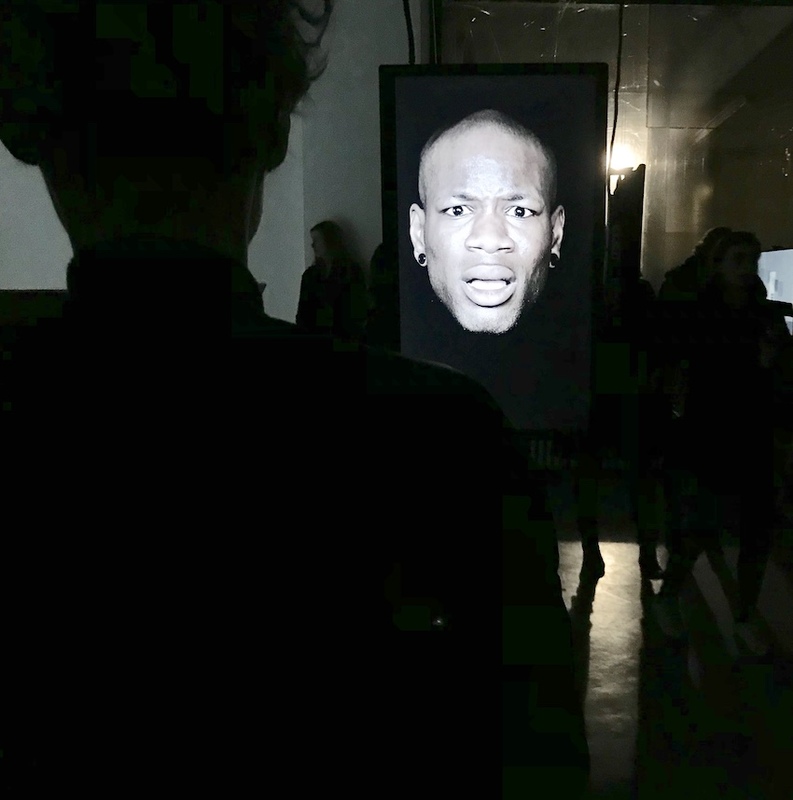 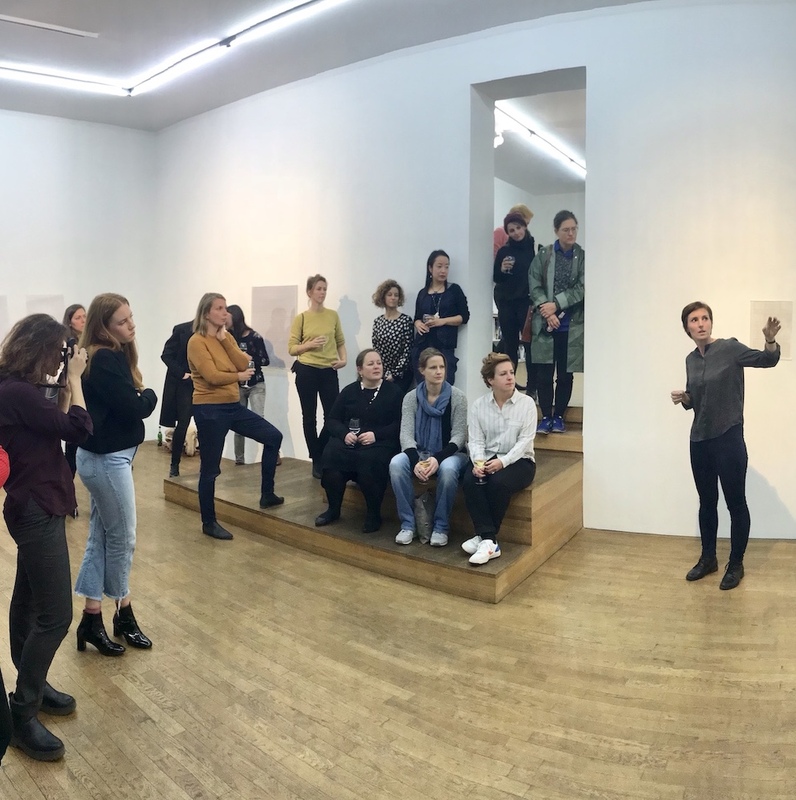 SALOON member Kristina von Bülow talks about her exhibition series Novokolorit Privatformat II and her work in cultural communication. 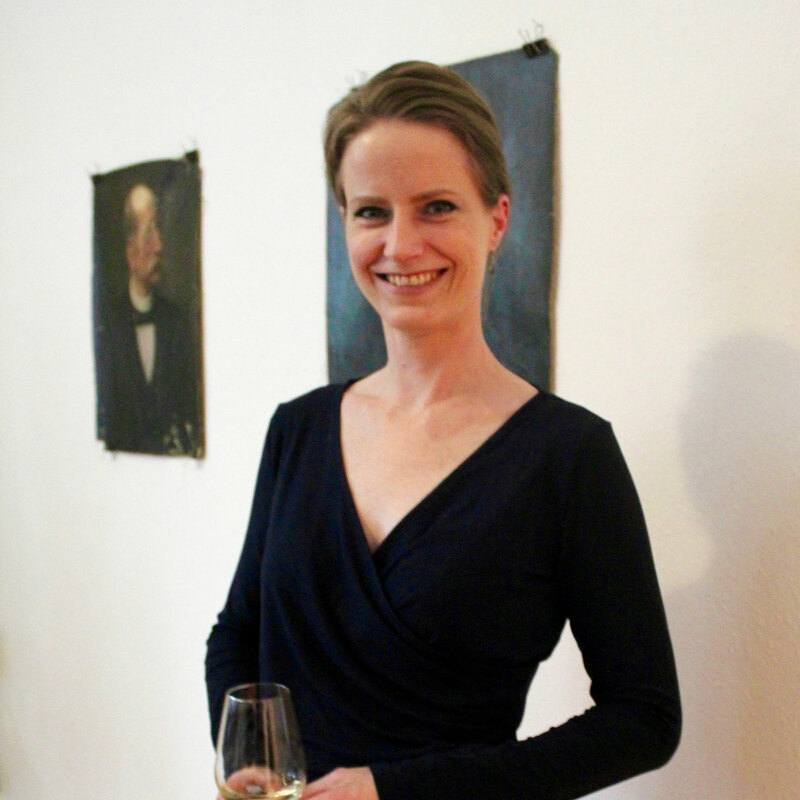 Afterwards dinner together at restaurant San Marino. 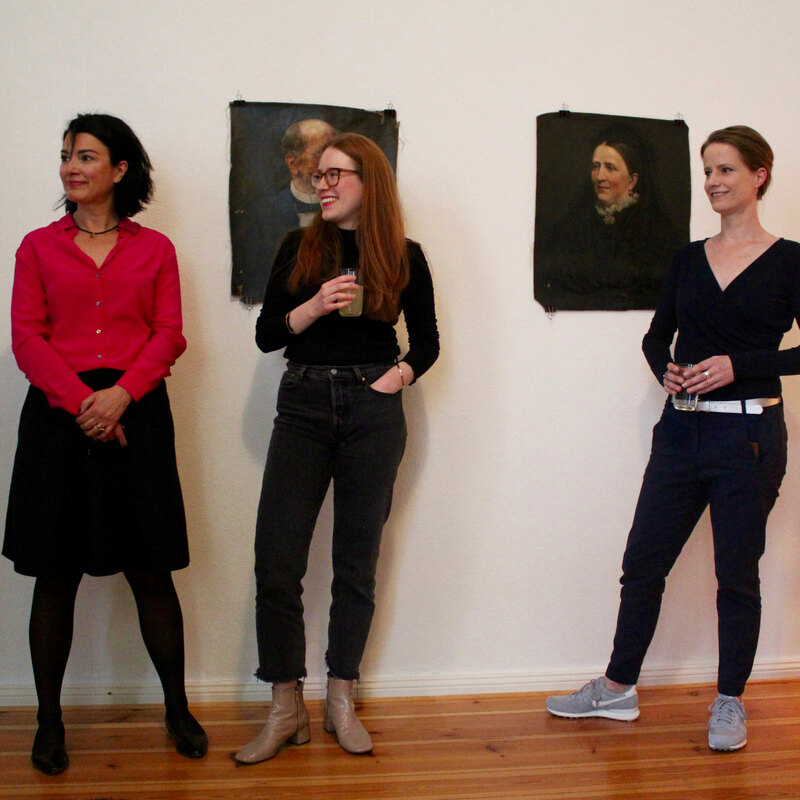 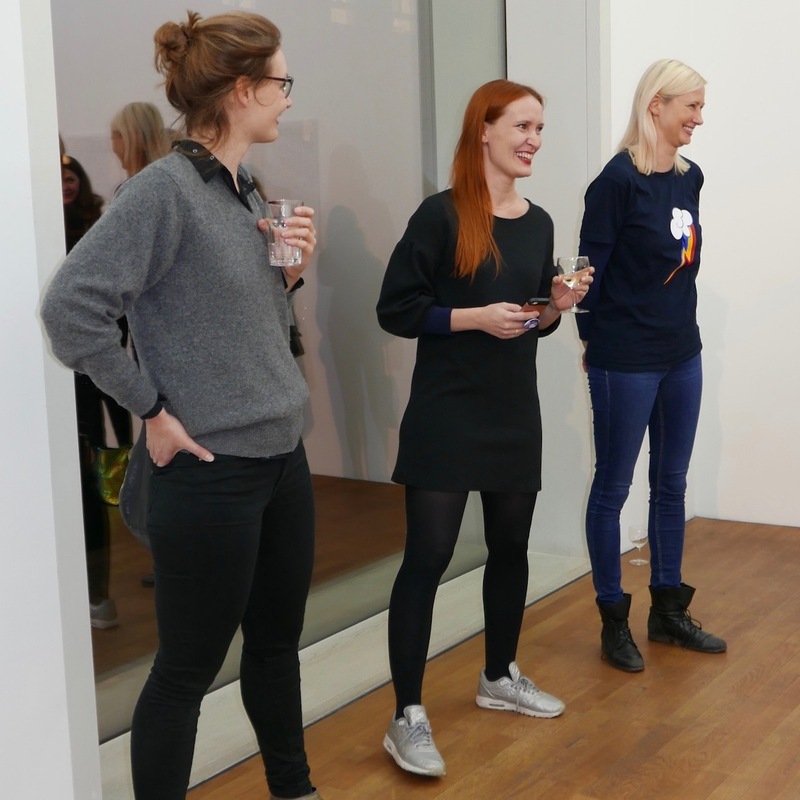 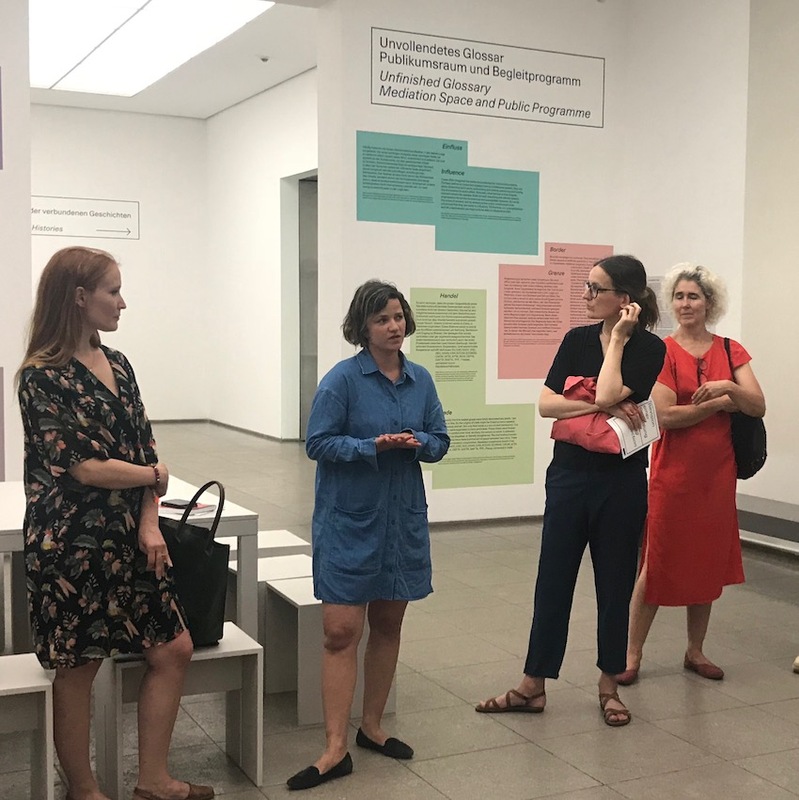 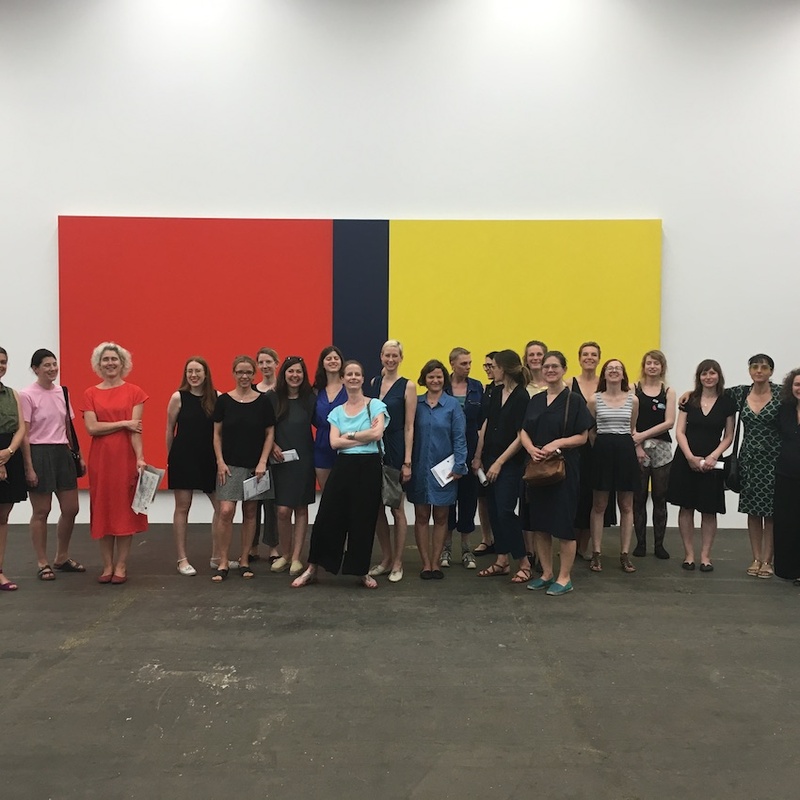 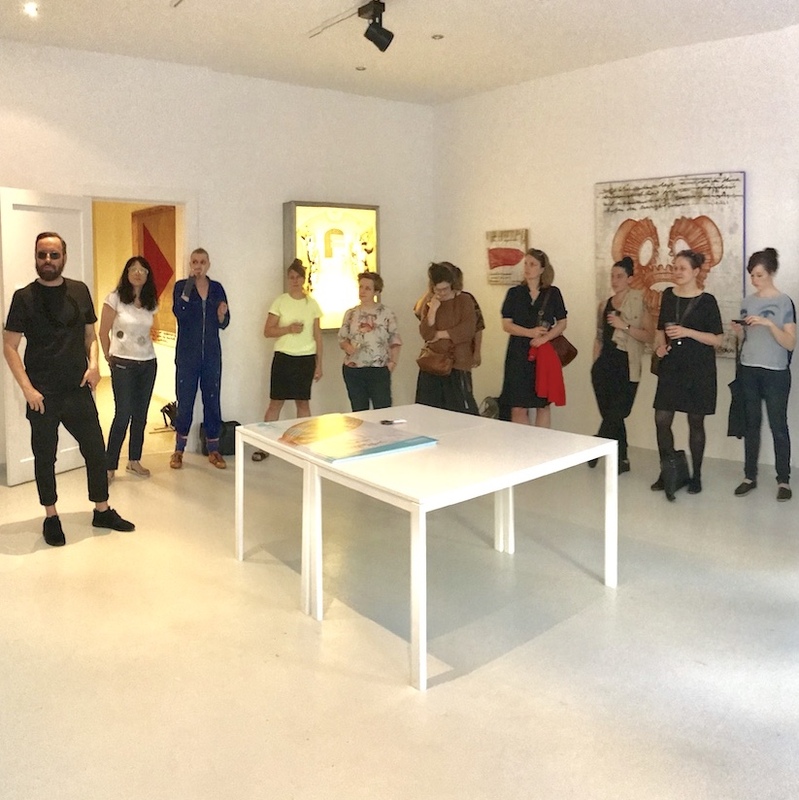 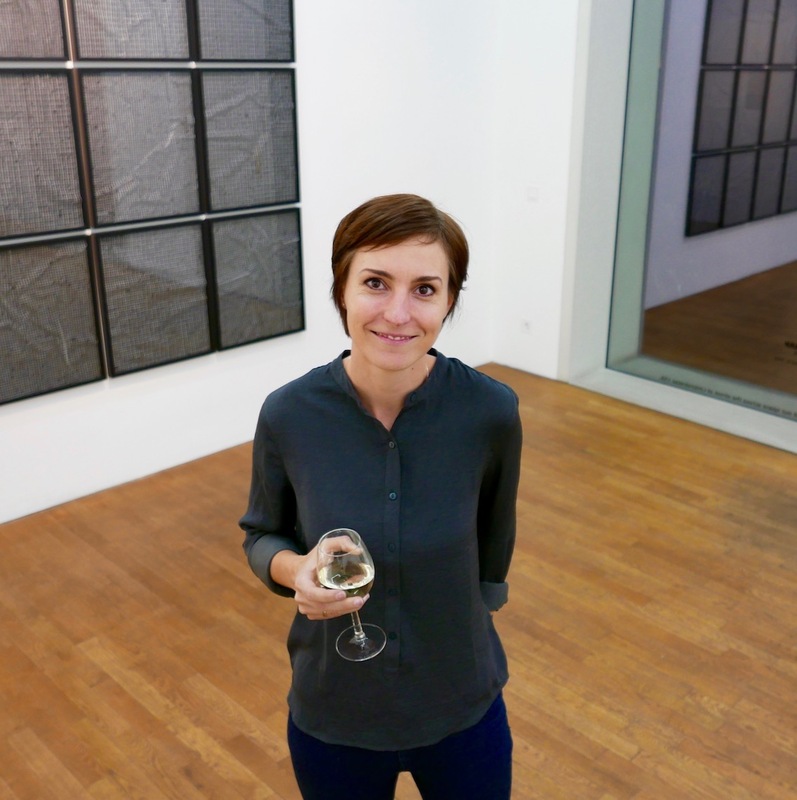 SALOON member Karolin Siller talks about her work as a gallerist and presents the exhibited artworks by KAESEBERG together with the artist. 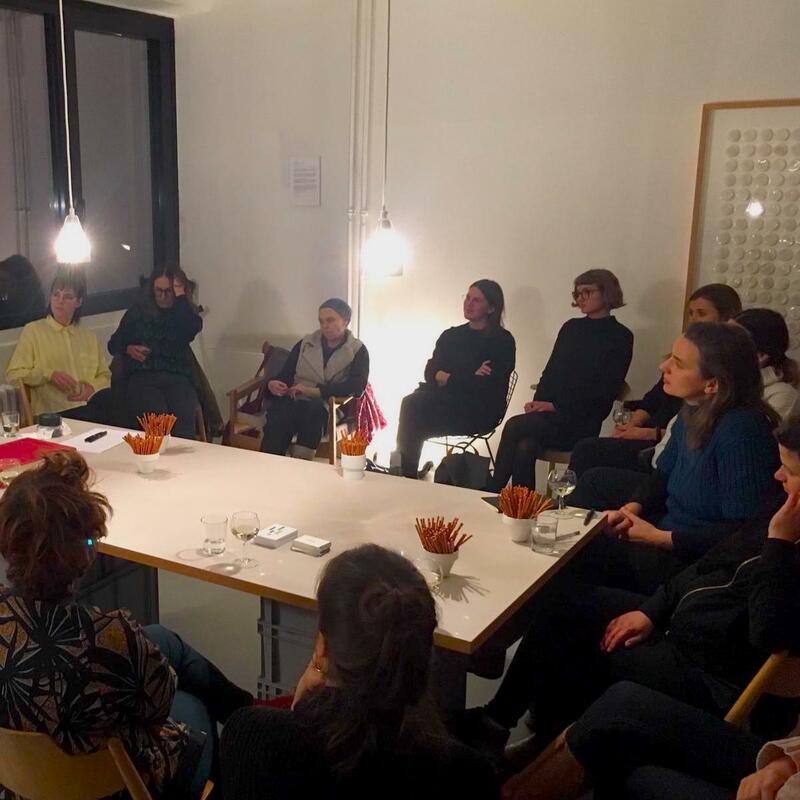 Afterwards dinner together at restaurant Mansy. 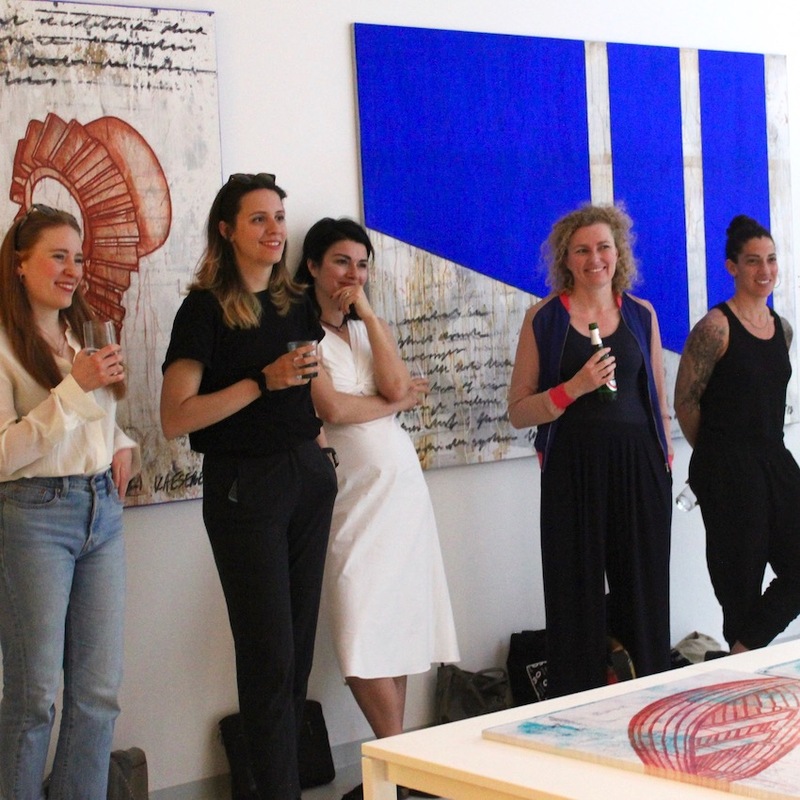 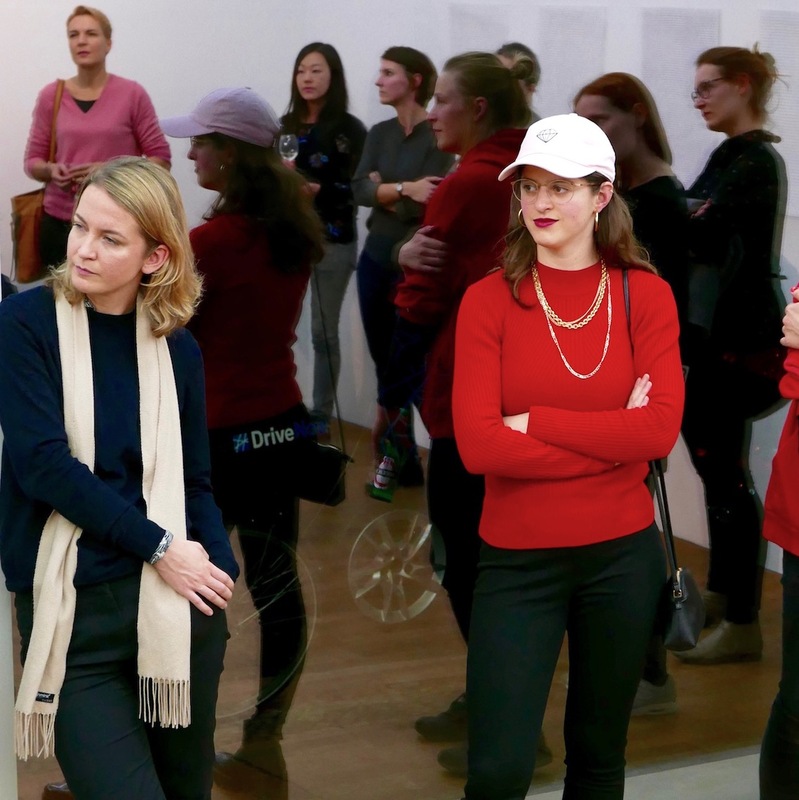 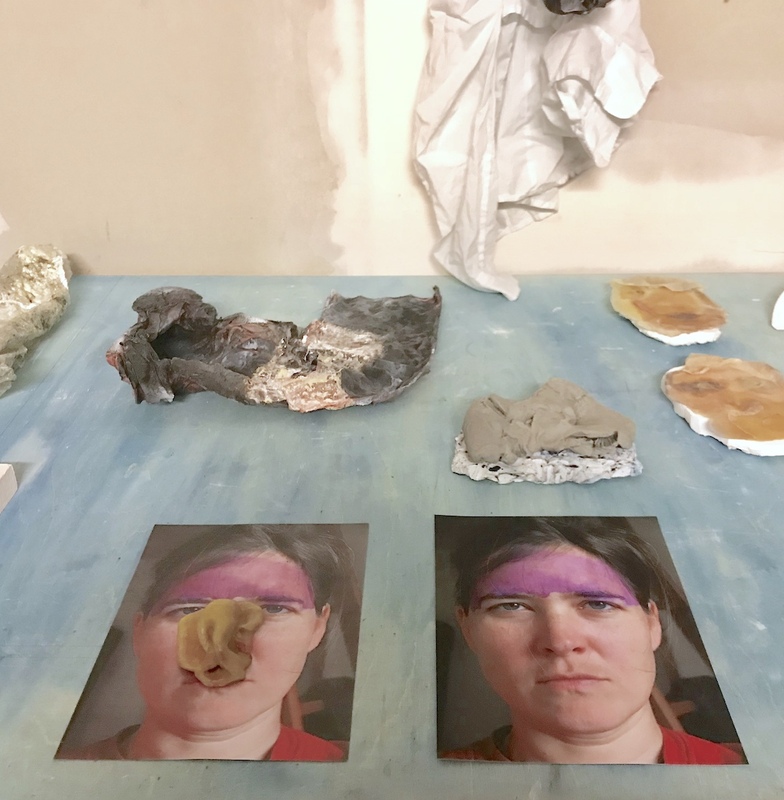 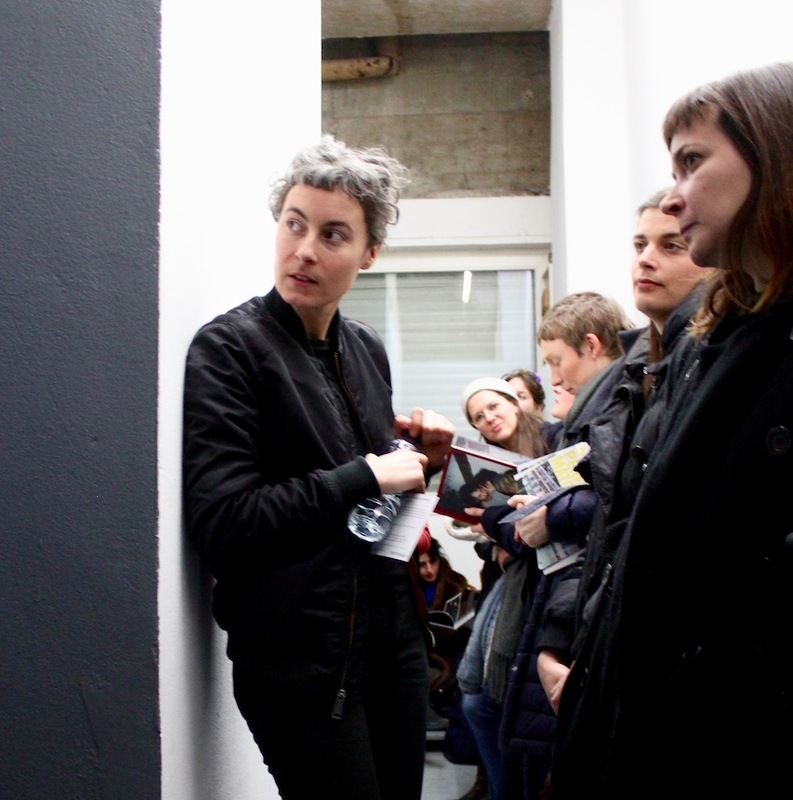 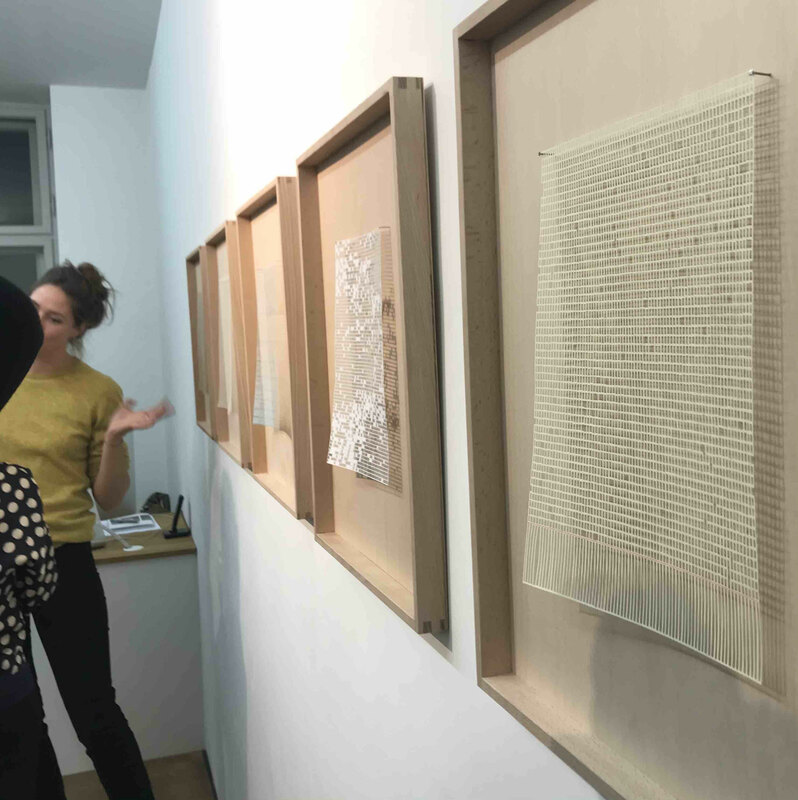 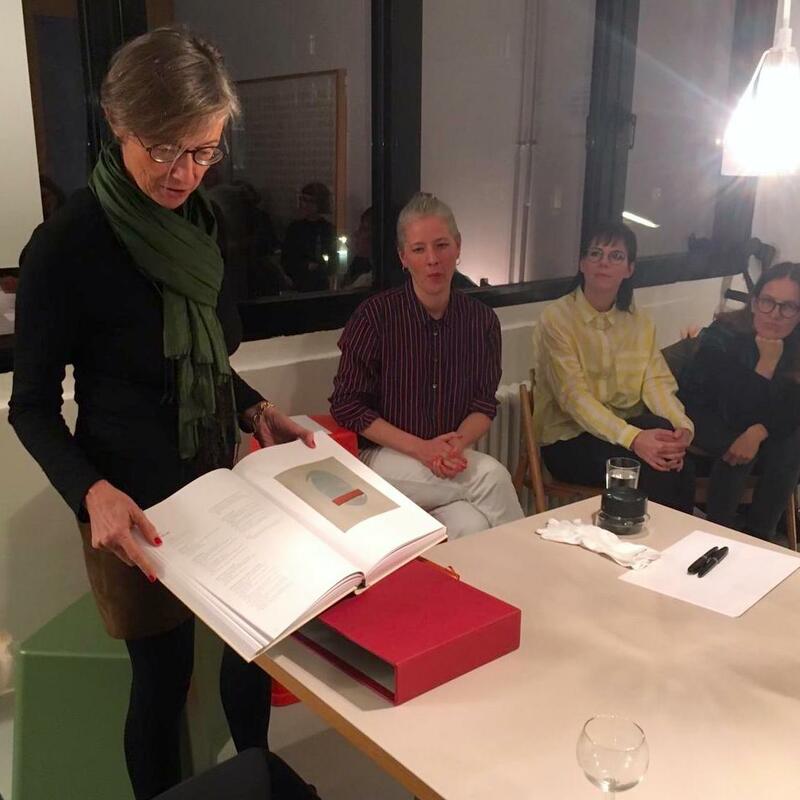 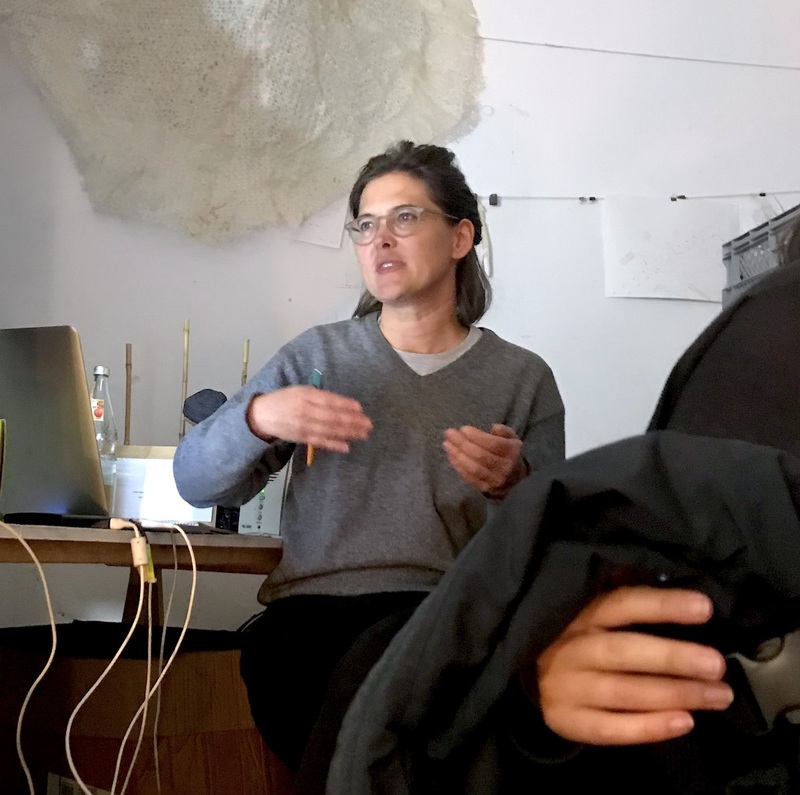 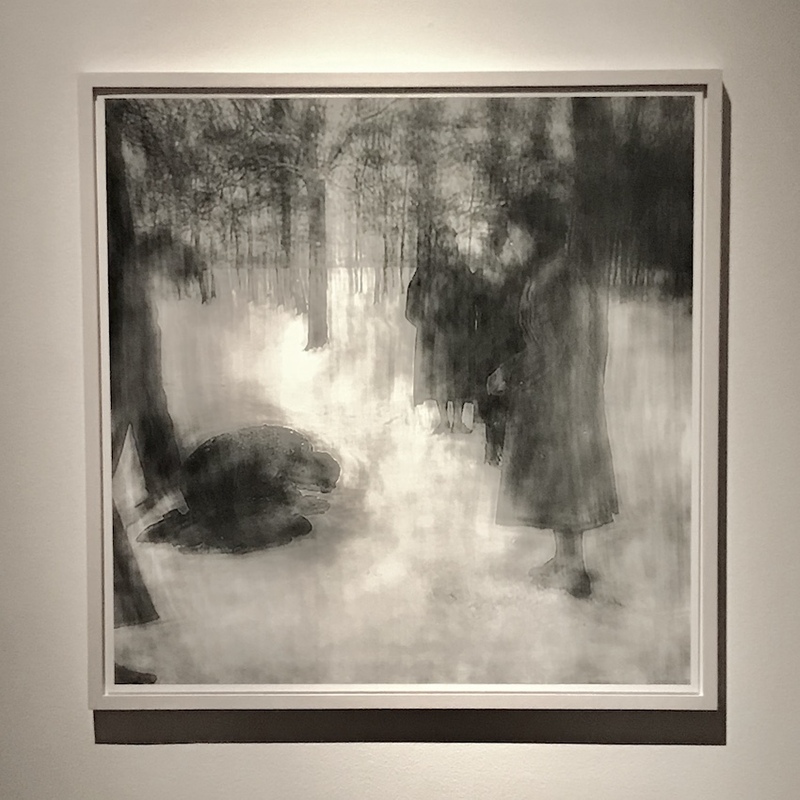 SALOON members Meggie Jaworski, Emily McDermott and Ornella Fieres give a talk at the solo exhibition The Recurring Frequency of a Fading Moment by Ornella Fieres at SEXAUER gallery. 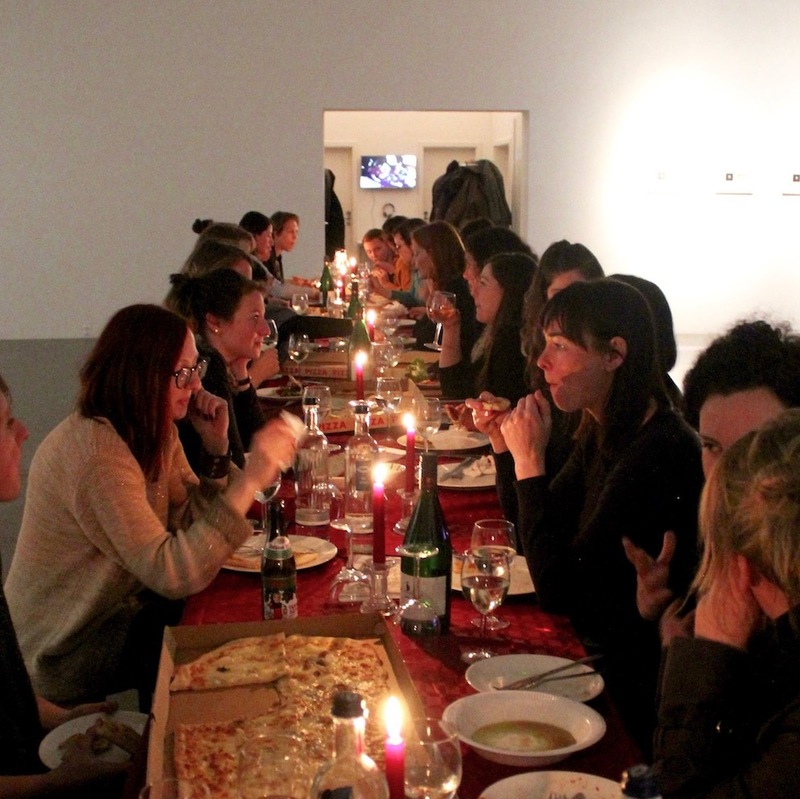 Afterwards dinner together with pizza at Galerie SEXAUER. 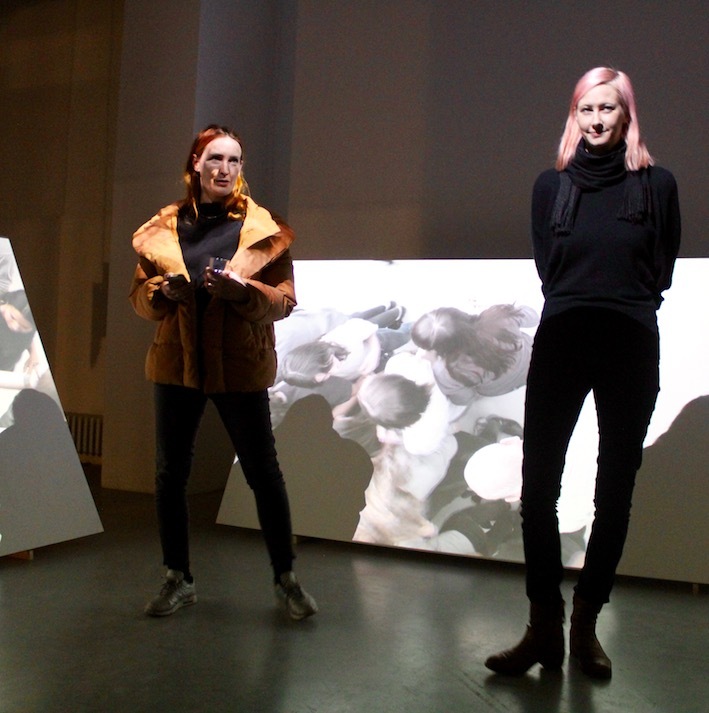 The artist Yvon Chabrowski presents her solo exhibition FACES AND MOVEMENTS at Dorothée Nilsson Gallery. 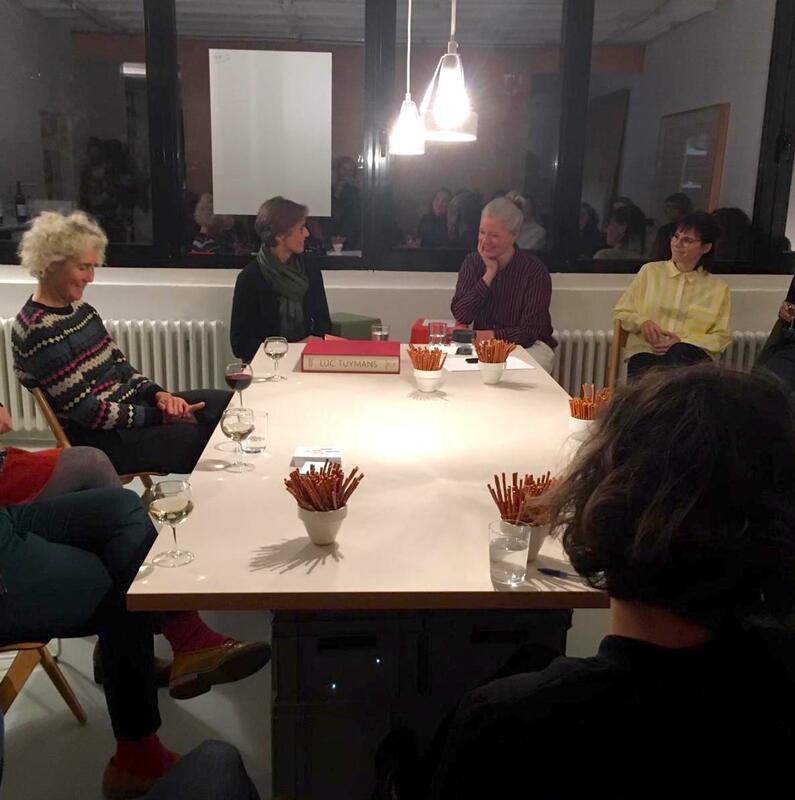 Afterwards dinner together at Joseph-Roth-Diele. 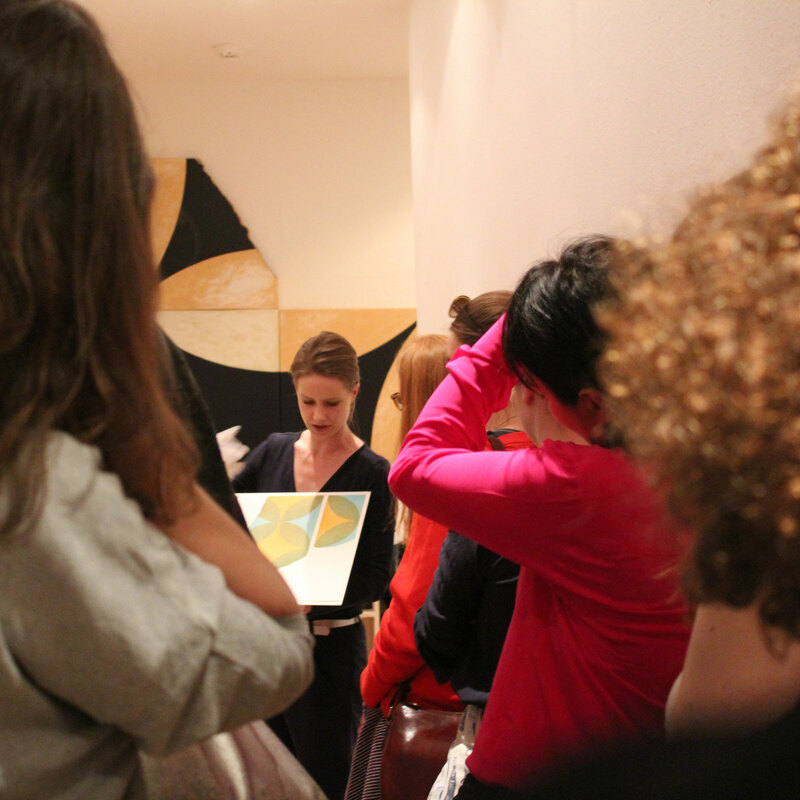 The artist presents her latest work. 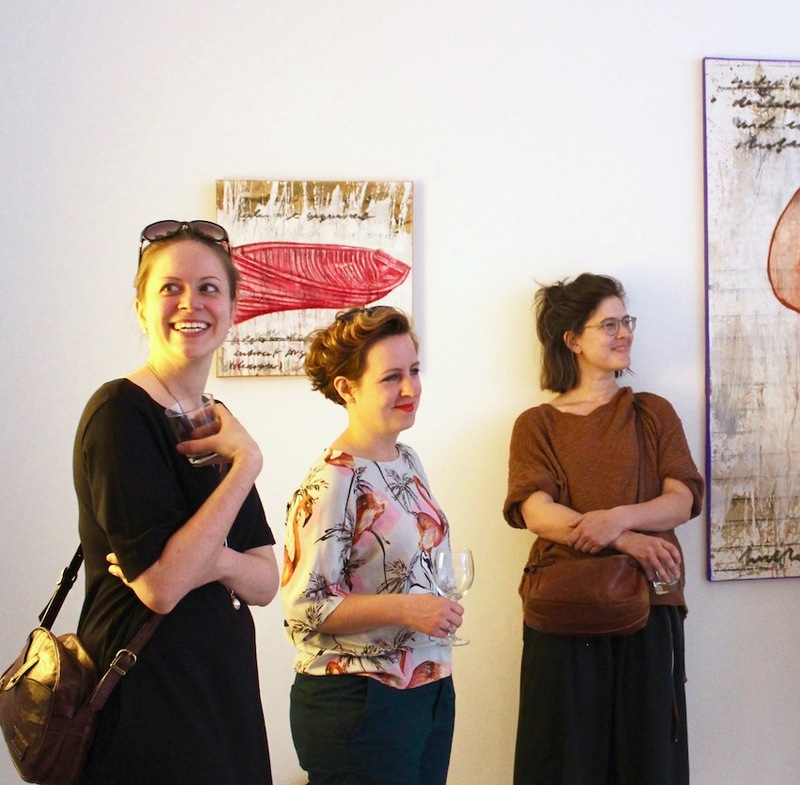 Afterwards dinner together at restaurant Taverna Hellas.